Epilepsy is a group of long-term neurological disorders characterized by hepileptic seizures. These seizures are episodes that can vary from brief and nearly undetectable to long periods of vigorous shaking. In epilepsy, seizures tend to recur, and have no immediate underlying cause while seizures that occur due to a specific cause are not deemed to represent epilepsy. In most cases the cause is unknown, although some people develop epilepsy as the result of brain injury, stroke, brain tumor, and drug and alcohol misuse, among others. 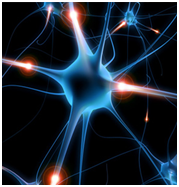 Epileptic seizures are the result of excessive and abnormal cortical nerve cell activity in the brain. The diagnosis typically involves ruling out other conditions that might cause similar symptoms (such as syncope) as well as figuring out whether any immediate causes are present. Epilepsy can often be confirmed with an electroencephalogram (EEG). Seizures are controllable with medication in about 70% of cases. In those whose seizures do not respond to medication,surgery,neurostimulation or dietary changes may be considered. Not all cases of epilepsy are lifelong, and a substantial number of people improve to the point that medication is no longer needed. About 1% of people worldwide (65 million) have epilepsy, and nearly 80% of cases occur in developing countries. Epilepsy becomes more common as people age. In the developed world, onset of new cases occurs most frequently in infants and the elderly; in the developing world this is in older children and young adults, due to differences in the frequency of the underlying causes. About 5–10% of all people will have an unprovoked seizure by the age of 80, and the chance of experiencing a second seizure is between 40 and 50%. In many areas of the world those with epilepsy either have their ability to drive restricted or disallowed, but most are able to return to driving after a period of time without seizures. Epilepsy is characterized by a long-term risk of recurrent seizures. These seizures may present in several ways depending on the part of the brain involved and the person’s age. The most common type (60%) of seizures are convulsive.Of these, two-thirds begin as focal seizures (which may then become generalized) while one-third begin as generalized seizures. The remaining 40% of seizures are non-convulsive. An example of this type is the absence seizure, which presents as a decreased level of consciousness and usually lasts about 10 seconds.Focal seizures are often preceded by certain experiences, known as an aura. These may include sensory (visual, hearing or smell), psychic, autonomic, or motor phenomena.Jerking activity may start in a specific muscle group and spread to surrounding muscle groups in which case it is known as a Jacksonian march. Automatisms may occur; these are non-consciously generated activities and mostly simple repetitive movements like smacking of the lips or more complex activities such as attempts to pick something up. There are six main types of generalized seizures: tonic-clonic,tonic, clonic, myoclonic, absence, and atonic seizures.They all involve loss of consciousness and typically happen without warning.Tonic-clonic seizures present with a contraction of the limbs followed by their extension along with arching of the back which lasts 10–30 seconds (the tonic phase). A cry may be heard due to contraction of the chest muscles. This is then followed by a shaking of the limbs in unison (clonic phase). Tonic seizures produce constant contractions of the muscles. A person often turns blue as breathing is stopped. In clonic seizures there is shaking of the limbs in unison. After the shaking has stopped it may take 10–30 minutes for the person to return to normal; this period is called the “postictal phase”. Loss of bowel or bladder control may occur during a seizure.The tongue may be bitten at either the tip or on the sides during a seizure. In tonic-clonic seizure, bites to the sides are more common.Tongue bites are also relatively common in psychogenic non-epileptic seizures. Myoclonic seizures involve spasms of muscles in either a few areas or all over. Absence seizures can be subtle with only a slight turn of the head or eye blinking.The person does not fall over and returns to normal right after it ends. Atonic seizures involve the loss of muscle activity for greater than one second. This typically occurs on both sides of the body.About 6% of those with epilepsy have seizures that are often triggered by specific events and are known as reflex seizures. Those with reflex epilepsy have seizures that are only triggered by specific stimuli. Common triggers include flashing lights and sudden noises. In certain types of epilepsy, seizures happen more often during sleep, and in other types they occur almost only when sleeping. After the active portion of a seizure, there is typically a period of confusion referred to as the postictal period before a normal level of consciousness returns.This usually lasts 3 to 15 minutes but may last for hours. Other common symptoms include feeling tired, headache, difficulty speaking, and abnormal behavior.Psychosis after a seizure is relatively common, occurring in 6–10% of people.Often people do not remember what happened during this time. Localized weakness, known as Todd’s paralysis, may also occur after a focal seizure. When it occurs it typically lasts for seconds to minutes but may rarely last for a day or two. Epilepsy can have adverse effects on social and psychological well-being. These effects may include social isolation, stigmatization, or disability. They may result in lower educational achievement and worse employment outcomes.Learning difficulties are common in those with the condition, and especially among children with epilepsy. The stigma of epilepsy can also affect the families of those with the disease. Epilepsy can have both genetic and acquired causes, with interaction of these factors in many cases. Established acquired causes include serious brain trauma, stroke, tumours and problems in the brain as a result of a previous infective. In about 60% of cases the cause is unknown. Epilepsies caused by genetic, congenital, or developmental conditions are more common among younger people, while brain tumors and strokes are more likely in older people. Genetics is believed to be involved in the majority of cases, either directly or indirectly. Some epilepsies are due to a single gene defect (1–2%); most are due to the interaction of multiple genes and environmental factors. Each of the single gene defects is rare, with more than 200 in all described. Most genes involved affect ion channels, either directly or indirectly.These include genes for ion channels themselves, enzymes,GABA, and G protein-coupled receptors.In identical twins, if one is affected there is a 50–60% chance that the other will also be affected. In non-identical twins the risk is 15%. These risks are greater in those with generalized rather than focal seizures. If both twins are affected, most of the time they have the same epileptic syndrome (70–90%). Other close relatives of a person with epilepsy have a risk five times that of the general population. Between 1 and 10% of those with Down syndrome and 90% of those with Angelman syndrome have epilepsy. Epilepsy may occur as a result of a number of other conditions including tumors,strokes, head trauma, previous infections of the central nervous system, genetic abnormalities, and as a result of brain damage around the time of birth. Of those with brain tumors, almost 30% have epilepsy, making them the cause of about 4% of cases. The risk is greatest for tumors in the temporal lobe and those that grow slowly. 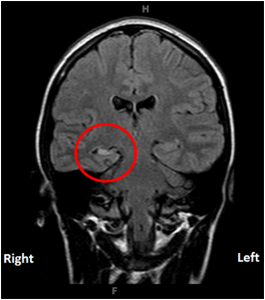 Other mass lesions such as cerebral cavernous malformations and artiovenous malformations have risks as high as 40–60%. Of those who have had a stroke, 2–4% develop epilepsy. In the United Kingdom strokes account for 15% of cases and it is believed to be the cause in 30% of the elderly. Between 6 and 20% of epilepsy is believed to be due to head trauma.Mild brain injury increases the risk about two-fold while severe brain injury increases the risk seven-fold. In those who have experienced a high powered gunshot wound to the head, the risk is about 50%. The risk of epilepsy following meningitis is less than 10%; that disease more commonly causes seizures during the infection itself. In herpes simplex encephalitis the risk of a seizure is around 50% with a high risk of epilepsy following (up to 25%). Infection with the pork tapeworm, which can result in neurocysticercosis, is the cause of up to half of epilepsy cases in areas of the world where the parasite is common.Epilepsy may also occur after other brain infections such as cerebral malaria, toxoplasmosis, and toxocariasis. Chronic alcohol use increases the risk of epilepsy: those who drink six units of alcohol per day have a two and a half fold increase in risk.Other risks include Alzheimer’s disease, multiple sclerosis, tuberous sclerosis, and autoimmune encephalitis.Getting vaccinated does not increase the risk of epilepsy. Normally brain electrical activity is non-synchronous. In epileptic seizures, due to structural or functional problems within the brain, a group of neurons begin firing in an abnormal, excessive, and synchronized manner. This results in a wave of depolarization known as a paroxysmal depolarizing shift. Normally, after an excitatory neuron fires it becomes more resistant to firing for a period of time. This is due in part to the effect of inhibitory neurons, electrical changes within the excitatory neuron, and the negative effects of adenosine. 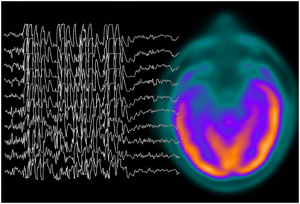 In epilepsy the resistance of excitatory neurons to fire during this period is decreased.This may occur due to changes in ion channels or inhibitory neurons not functioning properly.This then results in a specific area from which seizures may develop, known as a “seizure focus”.Another mechanism of epilepsy may be the up-regulation of excitatory circuits or down-regulation of inhibitory circuits following an injury to the brain. These secondary epilepsies occur through processes known as epileptogenesis. Failure of the blood–brain barrier may also be a causal mechanism as it would allow substances in the blood to enter the brain. Focal seizures begin in one hemisphere of the brain while generalized seizures begin in both hemispheres. Some types of seizures may change brain structure, while others appear to have little effect.Gliosis, neuronal loss, and atrophy of specific areas of the brain are linked to epilepsy but it is unclear if epilepsy causes these changes or if these changes result in epilepsy. The diagnosis of epilepsy is typically made based on the description of the seizure and the underlying cause. An electroencephalogram and CTscan,MRI are also usually part of the workup. While figuring out a specific epileptic syndrome is often attempted, it is not always possible. 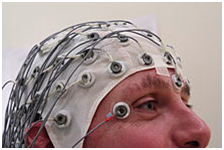 Video and EEG monitoring may be useful in difficult cases. Furthermore epilepsy is considered to be resolved for individuals who had an age-dependent epilepsy syndrome but are now past the that age or those who have remained seizure-free for the last 10 years, with no seizure medicines for the last 5 years. It is therefore possible to outgrow epilepsy or to undergo treatment that causes the epilepsy to be resolved. Resolution of epilepsy unfortunately does not guarantee that it will not return. In the definition, epilepsy is now called a disease, rather than a disorder. This was a decision of the executive committee of the ILAE, taken because the word “disorder,” while perhaps having less stigma than does “disease,” also does not express the degree of seriousness that epilepsy deserves. In contrast to the classification of seizures which focuses on what happens during a seizure, the classification of epilepsies focuses on the underlying causes. When a person is admitted to hospital after an epileptic seizure the diagnostic workup results preferably in the seizure itself being classified (e.g. 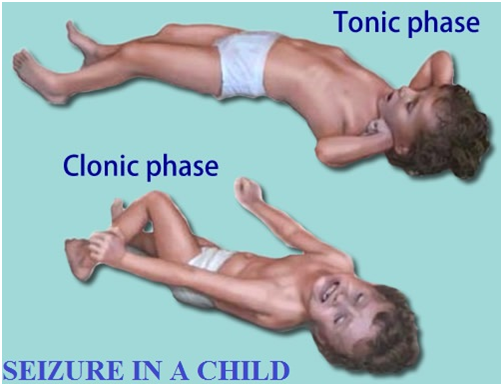 tonic-clonic) and in the underlying disease being identified (e.g. hippocampal sclerosis).The name of the diagnosis finally made depends on the available diagnostic results and the applied definitions and classifications (of seizures and epilepsies) and its respective terminology. This classification was widely accepted but has also been criticized mainly because the underlying causes of epilepsy (which are a major determinant of clinical course and prognosis) were not covered in detail. In 2010 the ILAE Commission for Classification of the Epilepsies addressed this issue and divided epilepsies into three categories (genetic, structural/metabolic, unknown cause, that were refined in their 2011 recommendation into four categories and a number of subcategories reflecting recent technologic and scientific advances. Children may have behaviors that are easily mistaken for epileptic seizures but are not. These include breath-holding spells, bed wetting, night terrors, tics and shudder attacks.Gastroesophageal reflux may cause arching of the back and twisting of the head to the side in infants, which may be mistaken for tonic-clonic seizures. If a seizure lasts longer than 5 minutes or if there are more than two seizures in an hour without a return to normal between them it is considered a medical emergency known as status epilepticus. This may require medical help to keep the airway open and protected, a nasopharyngeal airway may be useful for this. At home the recommended initial medication for seizure of a long duration is midazolam nasal spray. Diazepam may also be used rectally. In hospital, intravenous lorazepam is preferred. If two doses of benzodiazepines are not effective, other medications such as phenytoin are recommended. Convulsive status epilepticus that does not respond to initial treatment typically requires admission to the intensive care unit and treatment with stronger agents such as thiopentone or propofol. The mainstay treatment of epilepsy is anticonvulsant medications, minimum of 3 years possibly for the person’s entire life. The choice of anticonvulsant is based on seizure type, epilepsy syndrome, other medications used, other health problems, and the person’s age and lifestyle. A single medication is recommended initially; if this is not effective, switching to a single other medication is recommended. Two medications at once is recommended only if a single medication does not work.In about half, the first agent is effective; a second single agent helps in about 13% and a third or two agents at the same time may help an additional 4%.About 30% of people continue to have seizures despite anticonvulsant treatment. There are a number of medicationsavailable. Phenytoin, carbamazepine and valproate appear to be equally effective in both focal and generalized seizures.Controlled release carbamazepine appears to work as well as immediate release carbamazepine, and may have fewer side effects.Other available antiepileptic medicines include clobazam, lamotrigine ,levetiracetam, lacosamide, phenobarbitone, zonisamide,topiramate,clonazepam ,ethosuximide,etc. Adverse effects from medications are reported in 10 to 90% of people, depending on how and from whom the data is collected. Most adverse effects are dose-related and mild.Some examples include mood changes, sleepiness, or an unsteadiness in gait. Some medications have side effects that are not related to dose such as rashes, liver toxicity, or suppression of the bone marrow.Up to a quarter of people stop treatment due to adverse effects.Some medications are associated with birth defects when used in pregnancy. Valproate is of particular concern, especially during the first trimester.Despite this, treatment is often continued once effective, because the risk of untreated epilepsy is believed to be greater than the risk of the medications. Slowly stopping medications may be reasonable in some people who do not have a seizure for two to four years; however, around a third of people have a recurrence, most often during the first six months. Stopping is possible in about 70% of children and 60% of adults. Epilepsy surgery may be an option for people with focal seizures that remain a problem despite other treatments. These other treatments include at least a trial of two or three medications. The goal of surgery is total control of seizures and this may be achieved in 60–70% of cases.Common procedures include cutting out the hippocampus via an anterior temporal lobe resection, removal of tumors, and removing parts of the neocortex.Some procedures such as a corpus callosotomy are attempted in an effort to decrease the number of seizures rather than cure the condition. Following surgery, medications may be slowly withdrawn in many cases. Neurostimulation may be another option in those who are not candidates for surgery. Three types have been shown to be effective in those who do not respond to medications:vagus nerve stimulation,anterior thalamic stimulation, and closed-loop responsive stimulation. A ketogenic diet (high-fat, low-carbohydrate, adequate-protein) appears to decrease the number of seizures by half in about 30–40% of children. It is a reasonable option in those who have epilepsy that is not improved with medications and for whom surgery is not an option. About 10% stay on the diet for a few years due to issues of effectiveness and tolerability. Side effects include stomach and intestinal problems in 30%, and there are long term concerns of heart disease. Less radical diets are easier to tolerate and may be effective. It is unclear why this diet works. Exercise has been proposed as possibly useful for preventing seizures with some data to support this claim. Avoidance therapy consists of minimizing or eliminating triggers. For example, in those who are sensitive to light, using a small television, avoiding video-games or wearing dark glasses may be useful.Operant-based biofeedback based on the EEG waves has some support in those who do not respond to medications.Psychological methods should not, however, be used to replace medications. People with epilepsy are at an increased risk of death. This increase is between 1.6 and 4.1 fold greater than that of the general population and is often related to: the underlying cause of the seizures, status epilepticus,suicide,trauma, and sudden unexpected death in epilepsy (SUDEP).Death from status epilepticus is primarily due to an underlying problem rather than missing doses of medications.The risk of suicide is increased between two and six times in those with epilepsy. The cause of this is unclear. SUDEP appears to be partly related to the frequency of generalized tonic-clonic seizures and accounts for about 15% of epilepsy related deaths. It is unclear how to decrease its risk.The greatest increase in mortality from epilepsy is among the elderly. Those with epilepsy due to an unknown cause have little increased risk.. In the developing world many deaths are due to untreated epilepsy leading to falls or status epilepticus. Those with epilepsy are at about twice the risk of being involved in a motor vehicular collision and thus in many areas of the world are not allowed to drive or only able to drive if certain conditions are met. In some places physicians are required by law to report if a person has had a seizure to the licensing body while in others the requirement is only that they encourage the person in question to report it themselves. If seizures are well controlled most feel allowing driving is reasonable. The amount of time a person must be free from seizures before they can drive varies by country. In the United States the time needed without a seizure is determined by each state and is between three months and one year.